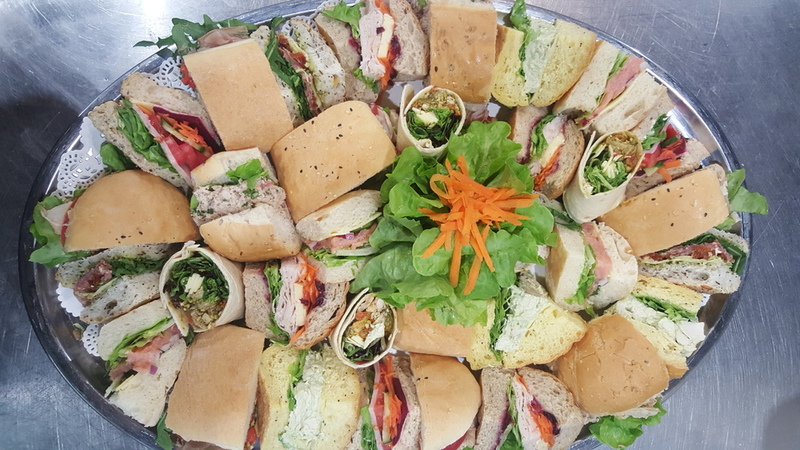 Click here for our Lunch Platters Online Ordering Form! Check out our Salads Menu for more varieties that we can cater externally or as a function in our air-conditioned garden atrium. NOTE: For this pricing to be applicable our kitchen will set the varieties on the platter. If you want a 'custom' platter there will be an additional cost. A selection of pastries baked daily by our chefs. Variety on platter depends on numbers catered. Selections include flavours such as Moroccan lamb, sausage, pumpkin spinach fetta, chicken sundried tomato, rich beef , teriyaki, curried , satay.